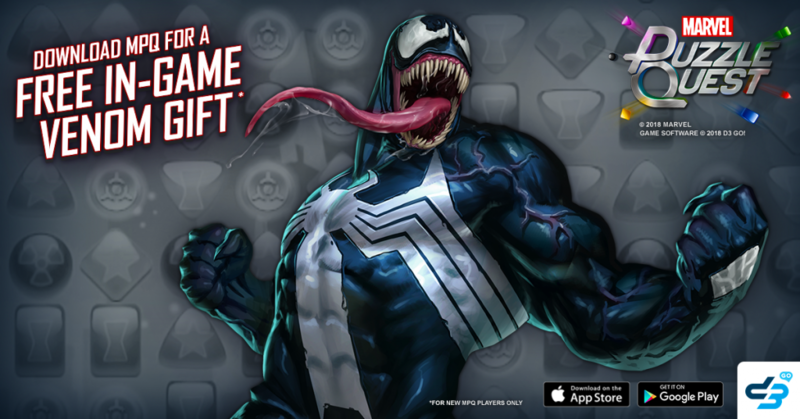 Free Gift From Marvel Puzzle Quest - Venom (Eddie Brock) - D3 Go! Thank you for downloading Marvel Puzzle Quest. Please click on the option below for the free download of Marvel Puzzle Quest and to claim your free Venom (Eddie Brock)! Please note this free offer is valid only via mobile devices and for new installs of Marvel Puzzle Quest. iOS and Android Users: Please CLICK HERE for Free Gift.